Textbook Mommy: Wahl Has You Covered For Mother's Day! Wahl Has You Covered For Mother's Day! This Mother's Day give your mom a gift that will provide her with the relaxation she deserves! 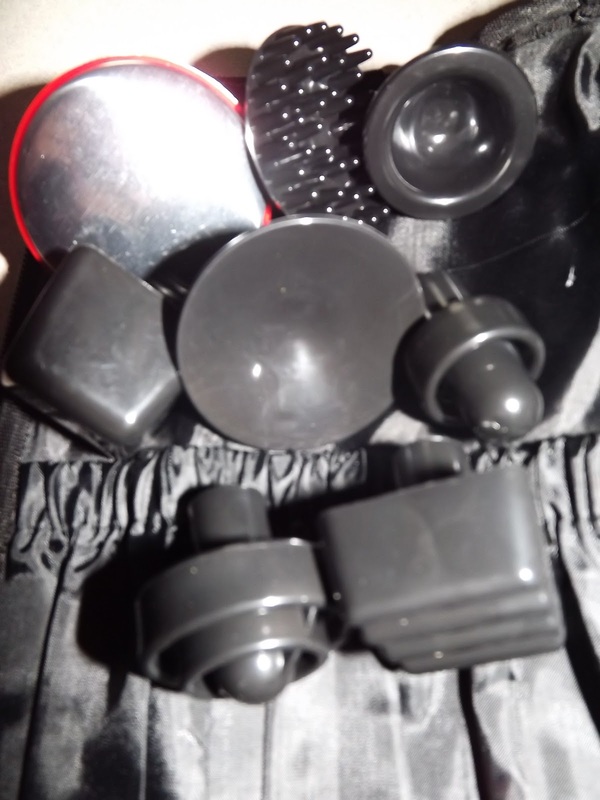 Wahl is well known for their wide variety of high quality household products. While you may recognize Wahl for their grooming products, this company offers much more, including their wonderful Deep Tissue Massager, Deluxe Therapy Massager, Flex Therapy Massager, and the Deluxe Heat Therapy Massage product! 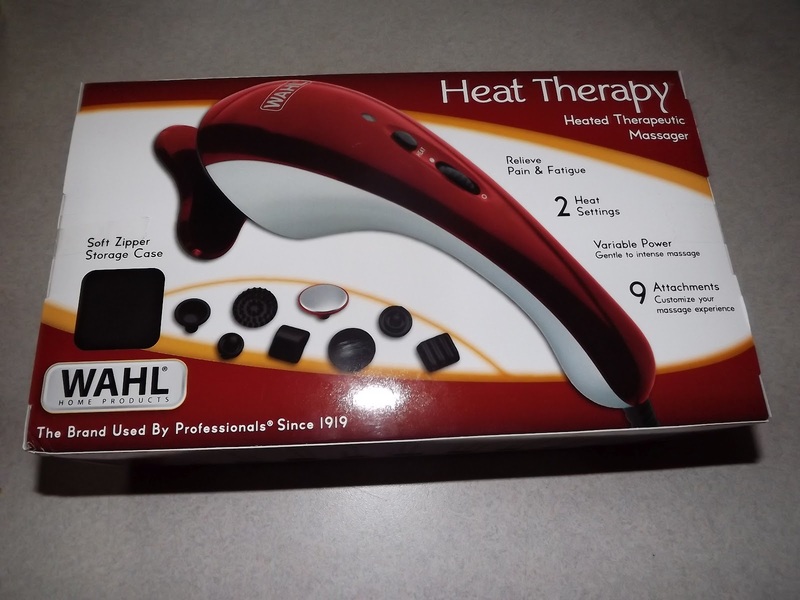 The Deluxe Heat Therapy Massager has two different heat settings, can be dialed in for all levels of intensity, and comes with nine different attachments to ensure the perfect relaxing massage. These attachments include a heat attachment, facial attachment, muscle kneading attachment, scalp attachment, knuckle and joint attachment, deep muscle attachment, spot attachment, general body attachment, and a triad attachment. Thanks to Wahl I had the amazing opportunity to review the Deluxe Heat Therapy Massager! First off, this product is great for storing and on the go. Everything comes in a zippered case, perfect for traveling as well! As someone who suffers from occasional lower back pain, I was excited to try this product not just for the massage effect, but for the heat as well. My husband has back and shoulder problems, so I wasn't surprised that he wanted in on reviewing this product too! 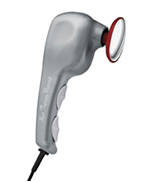 What's nice is that the Deluxe Heat Therapy Massager provides just the right amount of heat. I didn't know how hot this product would get, but it never got hot enough to be uncomfortable, which I loved. While my husband preferred the maximum massage setting, I actually found the lower settings to be just enough to provide a quality massage. This is one product that is going to get a lot of use around our home for a long time to come! I would recommend this product for any mom on your Mother's Day gift list. Nominate The Mom In Your Life To Win A Prize Pack From Wahl! From April 26-May13 you can go to Wahl's Facebook page and nominate the mom in your life to win a Mom Relief Package from Wahl. You can nominate a mom, grandmother, daughter, sister, wife, friend, or even yourself! All you have to do is leave a comment describing why the mom in your life deserves a Mom Relief Package. Entries will be judged on uniqueness and sincerity. *Disclosure: I received a sample product from the above named company, in partnership with MamaBuzz Media in exchange for my honest review. All opinions expressed in this review are 100% mine and are not a result of any outside influence.